Vietnamese government released Decree No. 86/2018/ND-CP (“Decree 86”) to regulate foreign investments and cooperation in the education sector in Vietnam. It will be in effect from August 1, 2018. Several organizations in Vietnam work with foreign language proficiency centers to issue certificates of foreign language proficiency such as IELTS and JLPT. To better manage these centers, Decree 86 has issued guidelines and conditions for granting certificates, subjects and periods of association, location, facilities, approval procedures, and personnel working for such organizations. To establish a pre-school education institution, the minimum investment should be at least VND 30 million per child, excluding land use expenses, while for general education establishments, it has been set at VND 50 million per student, as per Decree 86. 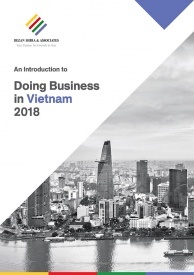 The minimum investment to set up a short-term training institution should be at least VND 20 million per trainee, while minimum investment for a tertiary education institution has increased from VND 300 billion to VND 1 trillion. 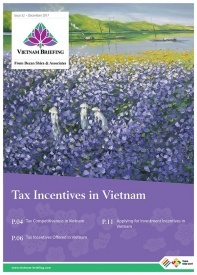 A branch of a foreign-invested university in Vietnam will require a minimum capital of VND 250 billion. For all types of educational institutions, except branches of foreign-invested universities, if an investor leases or is provided access to infrastructure facilities from their Vietnamese partner, the minimum investment capital must be equal to 70 percent of the aforementioned levels. Foreign educational programs must be in accordance with government-approved content. According to Decree 86, schools and kindergartens can tie up with accredited foreign educational institutions. The integrated curriculum must be approved by the Vietnamese government. The government will also issue specific guidelines on the integration of foreign and domestic courses. Graduates of such integrated courses must receive certificates, which should be valid for both Vietnam and the foreign country. Such programs will be valid only for a period of five years and can get an extension of no more than five years. Decree 86 which replaces Decree 73, is a major step by the government to encourage foreign investments in the sector. To further stimulate investments, the government should also focus on preferential treatments including tax exemptions and land use incentives.